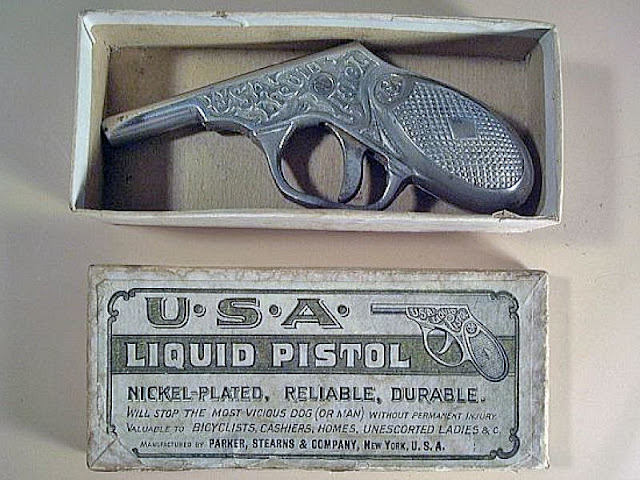 Meet The Plastic Squirt Gun Predecessor: The Liquid Pistol! Who would have thought that the popular children’s summer toy - the plastic squirt gun - was made of metal! It seems the brilliant idea of the squirt water gun might not be, after all, an early modern period invention from the 20th century. In fact, the idea of the water squirt-gun goes further back according to the book "Boone: A Biography" by Robert Morgan, where he explains how Squire Boone improvised water squirt guns out of spare rifle barrels and bags of water during a battle. This was in 1778, which is almost 90 years before the USA Liquid pistol metal squirt gun came out in 1886. 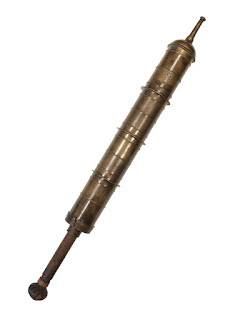 Early squirt guns were cast iron gun replicas equipped with rubber tubing and perfume atomizer rubber squeeze balls. The user had to fill up the bulb, then squeeze it for the water to come out. 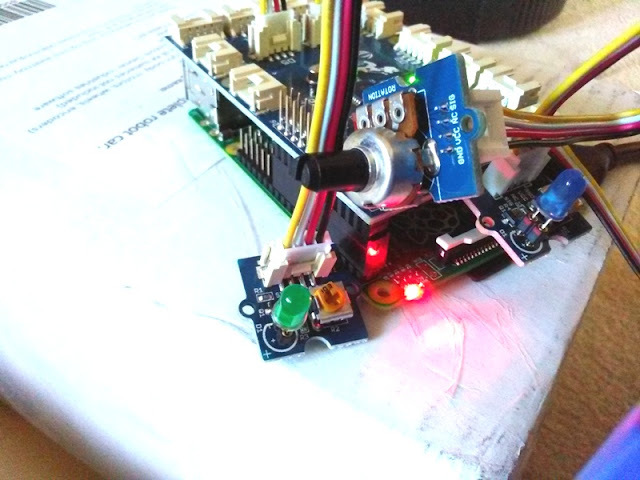 Subsequent models used the trigger to squeeze the bulb and make the water shoot out. Interesting enough, the makers of the USA Liquid Pistol water squirt gun marketed their squirt gun as the "pepper spray" of the day. Saying this, I do wonder how squirting a shot of water could ever be a deterrent. Mind you, being that the USA Liquid Pistol was made out of cast iron, throwing it at the attacker's face would probably have worked out better for self-defense! There's definitely a strong case of a water squirting gadget existing before the American Civil War and the Victorian era. If one looks at the history of firefighting, you will find evidence of fire-fighting water pumps being used even as far back as Ancient Egypt. There was even a fire extinguisher water pump from 1540 that looks very much like a piston type gun (pictured below on the left). If you're interested in these sort of things, you can actually pick up metal squirt guns from eBay, antique shows, boot fairs, etc. There are always some metal squirt guns being sold on eBay at any time (like this KABA metal squirt gun pictured above). 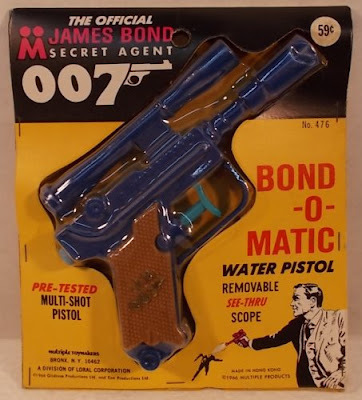 There's even the official James Bond Secret Agent 007 Bond-O-Matic Water Pistol that came out in 1966 being sold today for a whopping $500!